In 2014, a crash on Highway 522 near Monroe left three adults and one toddler dead. According to Washington State Patrol troopers, the 18-month-old toddler’s father fell asleep while driving. His vehicle drifted onto the shoulder of the road, where it struck a construction barrel. He then overcorrected, crossing the center line and slamming head-on into a car in the oncoming lane. A 76-year-old woman who had been in the vehicle that was struck died at the scene. Her 79-year-old husband died at Harborview Medical Center in Seattle. The toddler survived for four days after the wreck, but eventually died of her injuries. Investigators looked into the circumstances of the crash and found no evidence that the man who caused the crash was drunk, drugged, or distracted. Although they issued a traffic citation for second-degree negligent driving, they did not press criminal charges. Is Highway 522 Too Dangerous For Drivers? The families of both the deceased toddler and the deceased couple are now suing Washington state. Although state officials have known for decades that the stretch of road where this motor vehicle accident occurred is dangerous, little has been done to prevent deaths. 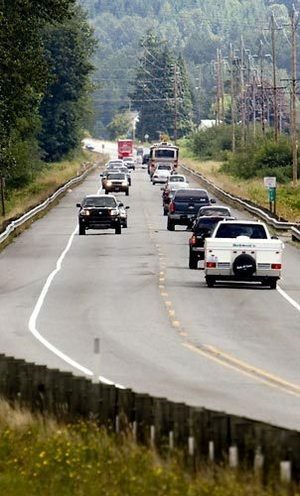 For decades, locals have complained about the 10.5-mile long stretch of Highway 522 between Monroe and Woodinville. 40 deaths and more than 1,000 accidents happened on that stretch of road between 1980 and 1995. As the population boomed in Western Washington, traffic increased on the highway. The stretch of highway was designed as a two-lane country road with no barrier between oncoming lanes. The highway was designed at a time when top speeds were slower and drivers had fewer distractions inside their vehicles. Head-on collisions began to skyrocket on the dangerous stretch of road. 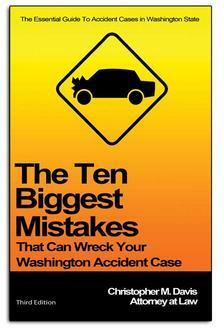 In 2009, the Washington State Department of Transportation became so frustrated by the prevalence of serious accidents and deaths along the route that they installed 8-foot wide electronic signs displaying the number of days since the last major crash on the roadway. Each time a crash happened, the signs were reset. Although the area was declared a “safety corridor” during the 2009 push for improvements, 18 people died on that road between 2009 and 2014. The state invested $90 million in improving the area with maintenance projects and rumble strip installation, but did not install any physical barriers between the oncoming lanes of traffic. “Unfortunately, a six-inch wide rumble bar does not prevent drunk drivers or people that flat fall asleep from being across the center line and hitting someone before they wake up,” Fred Walser, chairman of the U.S. Safety Coalition, told reporters in 2014. He suggested that the state install a cable barrier and LED lights in the center of the dangerous roadway, but the Washington State Department of Transit nixed that plan. The problem: the road passes through too many narrow areas, with water and cliffs directly on the border of the highway. Widening the road in these spots just isn’t possible, which means there’s no extra room to install a physical barrier. Attorneys for the grieving families whose loved ones were involved in the 2014 wrongful death accident argue that the 2009 safety improvements weren’t enough. The stretch of dangerous road still averages three deaths every year. Although improvement projects did eventually widen some areas of the highway enough to allow for the installation of a median barrier, a widening project that should cover the stretch of highway between Paradise Lake Road and the Snohomish River Bridge is still unfunded. Voters turned down a transportation package that would have provided funds to the project in 2007, and no money has been earmarked for the project’s completion.